Food management and hospitality consultants Butterfly Stories recently took part in the “F&B MasterClasses” event at Aegli in the Zappeion Gardens and gave a seminar on “Restaurant Strategy & Marketing Tools” to professionals. F&B Master Classes is an initiative by professionals of the catering sector that aims to educate and pass on useful information to restaurant and hotel owners and Food & Beverage managers. Butterfly Stories CEO Elizabeth Kouta. Butterfly Stories CEO Elizabeth Kouta, gave a presentation and walked professionals through the steps to promote their restaurant. “The creation of a business plan for your restaurant is essential,” Kouta said and touched on what is needed for a restaurant’s brand strategy. “Restaurant branding goes as far as creating memories through a wonderful hospitality experience,” she said. Being innovative in the catering sector was also a subject analyzed during the seminar. “In the restaurant industry, innovation is a prerequisite for success… You must make sure to meet the real needs of your customers,” she said and provided suggestions for professionals to be innovative in accordance to the latest trends (vegans, vegetarians, raw food lovers, kids meal, etc.). “The goal is to support a part of a trend successfully based on the target audience,” she said. Moreover, Kouta provided interesting insight on how restaurant owners can attract the so called “millennials” – the young working clientele of 18 to 35 years old that is considered the smartest generation of all time and whose lives revolve around digital technology. “Fifty percent of millennials decide to make a purchase or go to a restaurant about six hours in advance, after making a long online search,” she said. “We were especially pleased to have participated and presented this seminar in the context of training and briefing catering companies of F&B MasterClasses. Our goal is to help them improve their services as well as the overall experience of the customer when dining at a restaurant,” Kouta said. 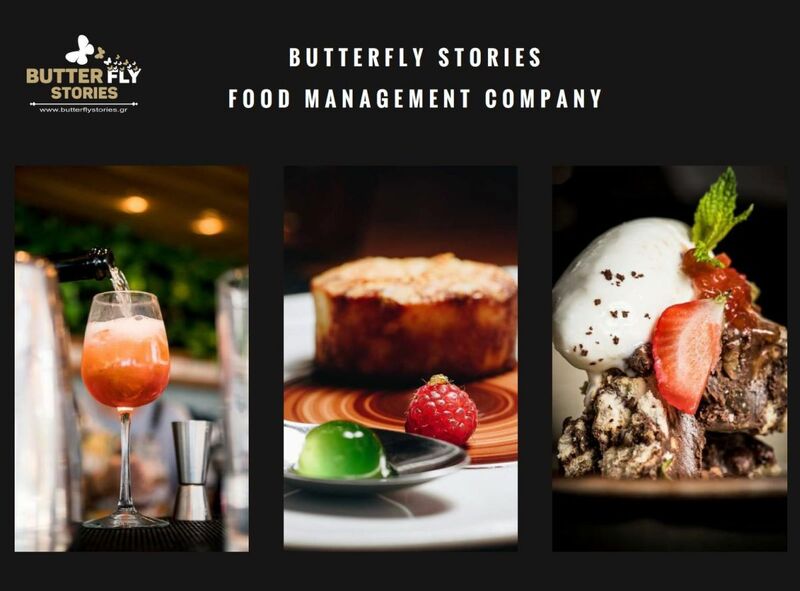 The first established Food Management Company in Greece and Cyprus, Butterfly Stories provides high standard management and services to restaurants, villas, bistros, bakeries and cafes.